As we are getting deeper into our school year we have been adding a little bit more work every few days. I find it easier to start withe bare minimum and add to it as we get back into the habit of having school time. 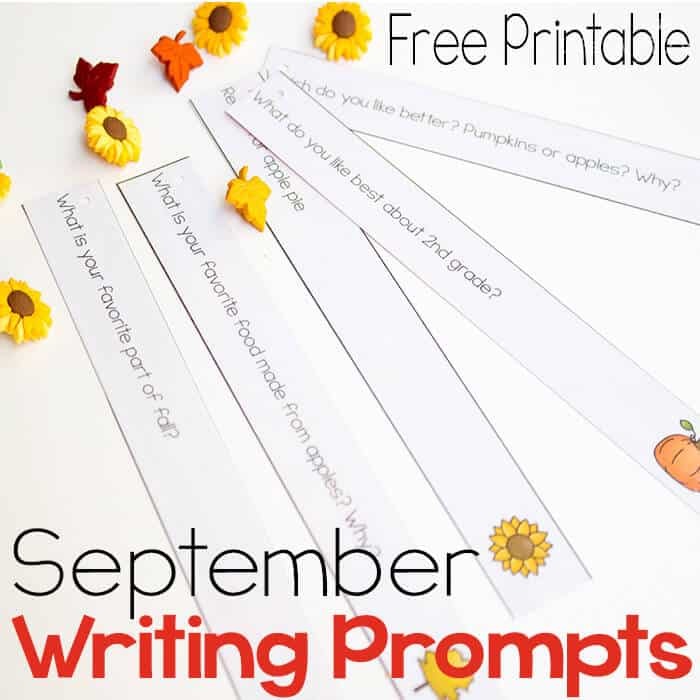 This week we are adding writing, so I created these 30 free journal prompts for September to use with my 2nd grader and to share with you. 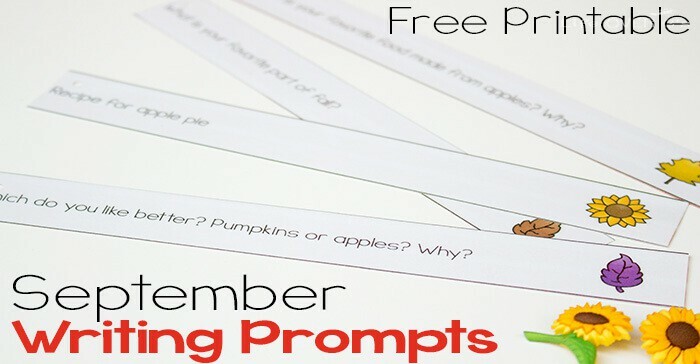 After you download the free journal prompts, be sure to check out the other great journal making activities from the rest of the 2nd Grade Blogging Team. How to prep: Print and laminate the writing prompts and cut them apart. Punch a hole in the upper left-hand corner of each prompt and thread them onto the book ring. Jaida got to decorate her own journal (which was one we’ve had on hand, but never seemed to use up). Her journal gives space for drawing a picture at the top and writing at the bottom. This is important for her because she loves to draw, but isn’t a big fan of writing. Mostly because she’s afraid of spelling things wrong (perfectionist). By mixing something that she loves with something she doesn’t love, she can still look forward to the activity & get the much needed writing practice as well. What is your favorite food made from apples? Why? Write a letter to a family member who lives far away. Do you like crayons or markers better? Why? Draw any picture. Write a story about the picture. Lots of different opportunities to work on various writing skills such as list making, letters, fictional stories, personal narratives and just some silly questions. 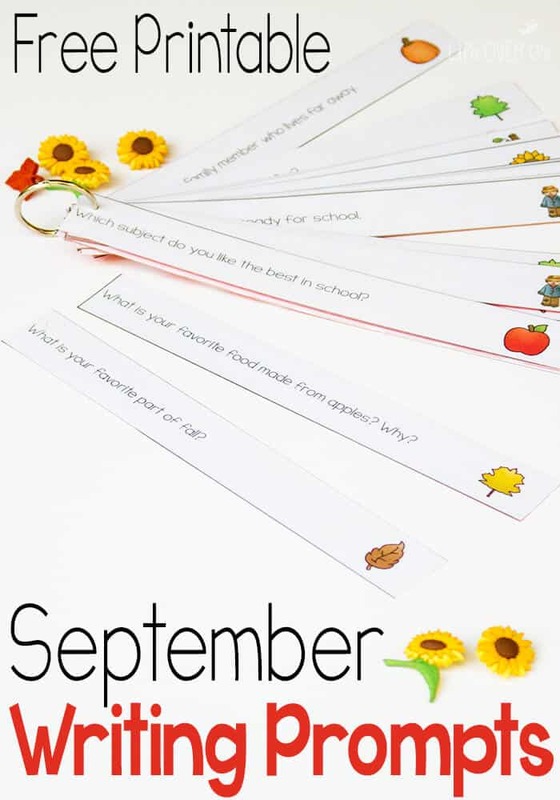 Fall Themed Reading Journal from Look! We’re Learning! 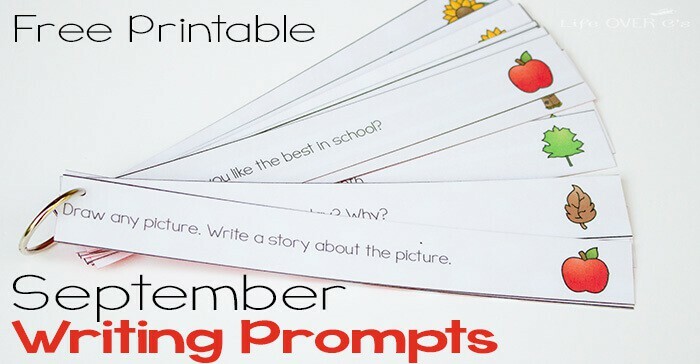 I love this idea for writing prompts! It’s handy to have them on a key ring, too!